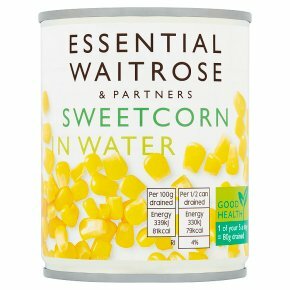 sweetcorn in water, crisp and naturally sweet. Vacuum packed. Hob. Time: 4-5 minutes. Empty contents into a saucepan with a pat of butter and heat gently. Drain before serving.